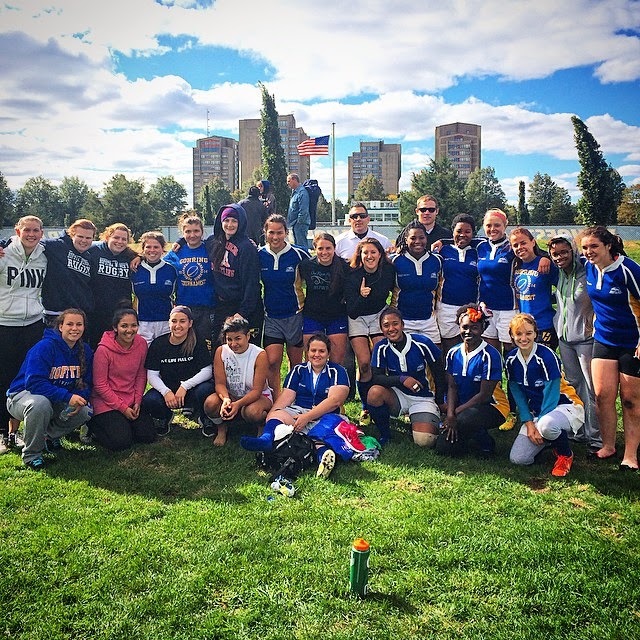 Hofstra Women’s Rugby had their most important game of the season on Sunday, October 19th, hosting the University of Albany in the conference championship qualifier. Coming off of back to back tough losses, the Pride rallied together in spectacular fashion and earned their spot in the semifinals with a 36–31 win. Hofstra Ice Hockey hosted Suffolk County Community College in an exciting match up at their new home rink at Twin Rinks at Eisenhower Park on Saturday, October 18th. The atmosphere was lively as both the Hofstra Dance Team and Hofstra mascot ‘Kate” were in attendance to support the Pride. The home side took an early lead and maintained it, holding a 4-2 lead entering the third period. Suffolk’s depth off the bench proved to be the difference between the sides, and the Sharks came away with a 7-4 victory, following a flurry of goals in the last 10 minutes of play. Hofstra Crew sent two boats to the biggest race in the world, the Head of the Charles, in Boston, Massachusetts. The Pride sent a varsity women’s 4+ boat with Ashley Wilson, Bianca Pickering, Amanda Korbar, Alex Alicea, and Katie Navarino. The women placed 55th out 61 with a time of 22:25. The Men’s double entry of Billy Trotter and Steven Hartman, placed 29th with a time of 21:22. Women’s Club Lacrosse wrapped up their non-league portion of their schedule with matchups against Stony Brook, Fordham and NYU at Stony Brook on Sunday, October 19th. The Pride fell short to Stony Brook and Fordham but came away with a 7-3 win over NYU. 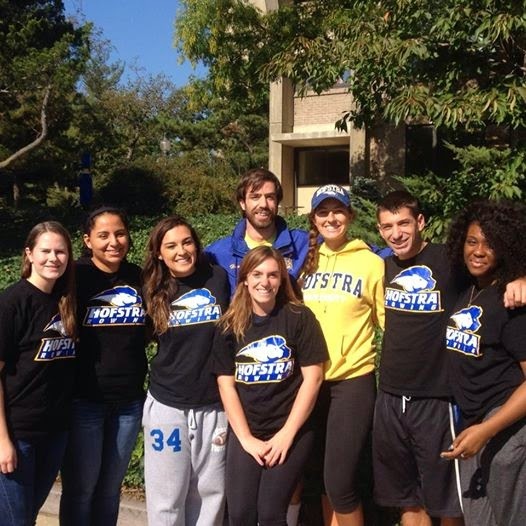 For information on how to get involved with any Hofstra club sports, visit our website: www.hofstra.edu/recreation and click the ‘club sports’ tab. See you next week! Jeans Day in support of National Coming Out Day!